Work and residence permits are issued for long-term specific employment, investments, trade, and profession to persons whose presence and engagement will be of benefit to Kenya. Special Permits valid for 90 days may be issued for short-term ventures. (c) whose engagement in the prospecting or mining will be of benefit to Kenya. (b) has in his own right and at his full and free disposition sufficient capital and other resources for the purpose. (d) whose practice of that profession will be of benefit to Kenya. A person who is offered specific employment by a specific employer, the government of Kenya or any other person or authority under the control of the Government or an approved technical aid scheme under the United Nations Organization or some other approved Agency (not being an exempted person under section 34 (3), who is in possession of skills or qualifications that are not available in Kenya and whose engagement in that employment will be of benefit to Kenya. (c) whose engagement in that manufacture will be of benefit to Kenya. (c) whose engagement in trade, business, consultancy or profession will be of benefit to Kenya. 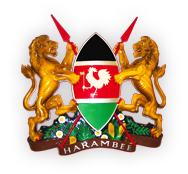 and is approved by the Government of Kenya, and whose presence in Kenya will be of benefit to Kenya. (d) whose presence in Kenya will be of benefit to Kenya. A person who has been granted refugee status in Kenya in accordance with the refugee law of Kenya and any other spouse of such refugee who intends to take up employment or engage in a specific occupation, trade, business or profession. Q. What does one need if they wish to work in Kenya? Q. What if I want to reside in Kenya without engaging in employment or any work paid or unpaid? Q. How do I get the entry permit form? Q. Do I send money to the Director of Immigration Services the application form and fee? A. No. The Director of Immigration Services will let you know the outcome of your application, when and how much to pay.